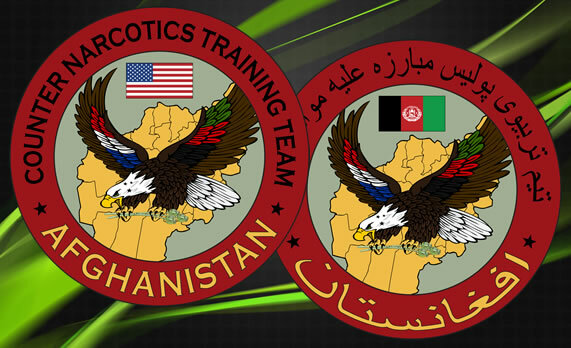 Below are two versions of a patch designed for the Counter Narcotics Training Team located in Afghanistan. For the indigenous teams, a patch was needed which displayed the Afghanistan flag and text translated into Farsi. In order to get sharp graphics, these patches were designed with line art in Adobe Illustrator. Text was wrapped around the circular pattern. The map of Afghanistan is in the background, and both flag colors appear on the eagle’s wings to represent the teamwork between the USA and Afghanistan forces.